As one of the most high-profile horse races in the world, the Grand National is never short on excitement or drama. But the race gets even more exciting when it ends up witnessing a huge upset. When a massive underdog wins the Grand National, the electricity at Aintree is palpable. In the case of these five winners, being the biggest underdogs to ever win the famous race was enough to thrill those in attendance and truly shock the world in the process. Over the course of the history of the Grand National, five horses have won the race at 100/1 odds. These five horses are tied for the longest odds of any winner of the race. Some of these long shots have fascinating stories to accompany their legendary rides and will go down in horse racing history as a result. One of the top underdogs in the history of the Grand National can also claim one of the best stories in the history of the race, thanks to some prophetic words of encouragement prior to the start of the race. Just before the start of the 1928 Grand National, Tipperary Tim’s non-professional jockey heard a friend yell out to him that he could win the race if every other horse fell down. As it turns out, that is exactly what happened. In a 42 horse field, 41 horses took a spill over the entirety of the race. Of those 41 horses to fall, 40 of them were unable to finish the race. And while one of the horses to take a fall during the course of the 1928 Grand National was able to finish the race, they were unable to catch up to Tipperary Tim. This was the first time in the history of the Grand National that a horse was able to defy the Grand National odds and win as a 100/1 long shot. 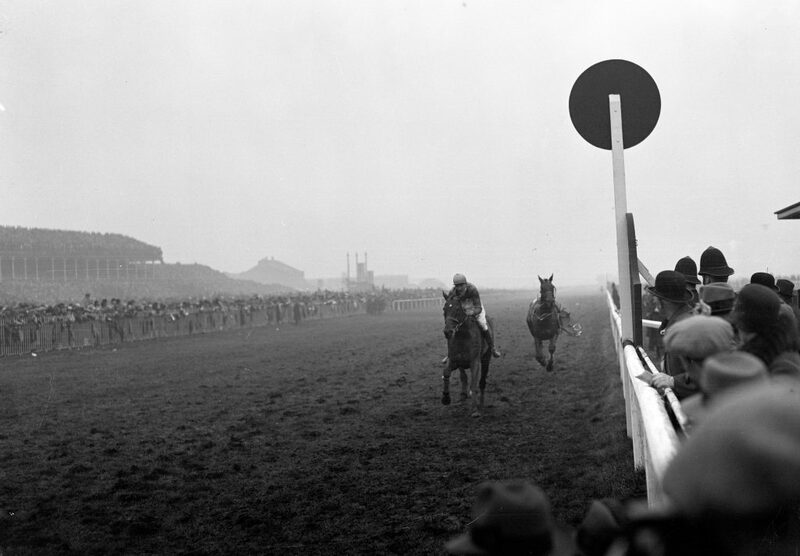 The 1928 Grand National set a record for the fewest horses to finish a Grand National race. It has also set the record for the biggest underdog to come out victorious in the race, a record that other horses have been able to equal in the decades to follow. Believe it or not, there were two straight 100/1 underdogs who managed to win the Grand National. In 1929, Gregalach managed to follow up on the unlikely performance of Tipperary Tim to claim the race as a huge underdog. It is entirely possible that there will never be another back-to-back run of Grand National winners at such long odds again. One of the most impressive things about the unlikely victory for Gregalach was the fact that this Grand National featured the most horses at the start of any race in the history of the event. There were a jaw-dropping 66 horses who were entered into the race and took part in its start, which should have made it extremely difficult for a horse that wasn’t at the top of the odds list to come out on top. The race featured an astounding 57 horses that did not finish the course, while the nine horses that did manage to complete the race were mostly huge underdogs. Only two of the horses to finish the race were at odds of 20/1 or better, with several horses at 200/1 odds finding a way to outperform horses that were projected to leave them in the dust before the Grand National started. It is one thing for a huge underdog to go ahead and win a race like the Grand National, shocking the world in the process. But it is another thing for that underdog to dominate the field to the point that they make the rest of the participants look like they were the 100/1 long shots. That is what happened in 1947 when Caughoo destroyed the rest of the horses in the field to earn one of the most astounding results in horse racing history. Caughoo won the race by 20 lengths over the second place finisher, winning comfortably in a race that is usually anything but comfortable for its competitors. Of the 57 horses that started the race, there was not an equal to the eight-year-old on that day. Lough Conn, a 33/1 underdog, was the second place finisher in the race and looked good if not for the fact that one horse had so thoroughly outclassed him. Two decades after Caughoo put together one of the most dominant performances in the history of the Grand National, another 100/1 long shot managed to make the ultimate impression on the race. This time it was Foinavon defying the horse racing odds en route to a win that yielded massive payouts for those courageous enough to back him. To say that Foinavon was not a horse that many wanted to ride in this race would be an understatement. 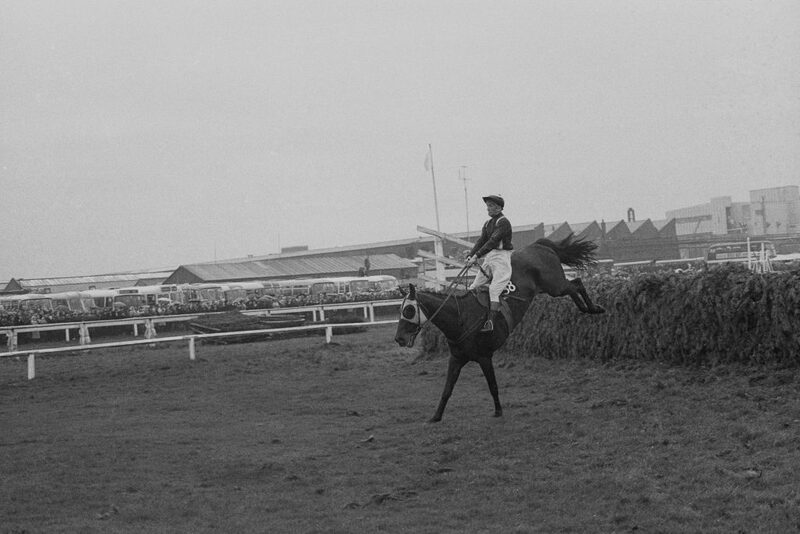 It has been said that three jockeys turned down the opportunity to ride him in the event before John Buckingham accepted the chance to take part in the race. With the historic performance that Buckingham and Foinavon turned in, it should go without saying that the jockey does not regret the decision to take a chance on a horse that nobody else wanted to ride. The most recent example of a 100/1 underdog finding a way to win the Grand National in memorable fashion, Mon Mome managed to get the job done in 2009. In another dominant performance by an underdog, the French-bred nine-year-old managed to win the race by 12 lengths. He did so by holding off two of the favourites in the race, Comply or Die and My Will. After these five horses managed to take Aintree by storm, the question is which horse will be the next huge underdog to ascend to the top of the sport by winning the Grand National. Whether or not the long shots have their day sometime soon, the favourites should be on guard as it is clear that anything can happen in one of the world’s biggest races.